There are very few men who have served their country passionately and with dedication. These are those men who have clear vision of their goal. They work tirelessly for building the better nation. One of such men was Canadian politician and 15th Prime Minister, Pierre Trudeau. Trudeau was born in October 18, 1919 to a successful French-Canadian businessman and his wife of Scottish ancestry, his full name was Joseph Philippe Pierre Yves Elliot Trudeau, usually known as Pierre Trudeau or Pierre Elliot Trudeau. Trudeau had been sworn twice as Canada’s prime minister. In Trudeau’s era, Canada flourished to limitless bounds. He had great fan-following because of his youthful nature, fierce attitude towards his goal, his act of suppressing violent acts, and his stance against a separate Quebec. All in all, Trudeau was a gem for Canada. Born to a wealthy family, Trudeau was fortunate enough to receive education from prestigious educational institutes around the world. Exposed to different cultures and ideologies, Trudeau had high intellectual level. He opposed the philosophy of blind following. He had once, eloquently said, ‘The past is to be respected and acknowledged, but not to be worshipped. It is our future in which we will find our greatness.’ He had the philosophy of observing the situation from both ends, analyze its pros and cons, and then build up a stance. His philosophy gave him the name, ‘intellectual rebel’. Trudeau also has a famous one-liner, ‘Just Watch Me,’ it was the message to his opponents and his supporters as well to see him realize his vision. After receiving his law degree, Trudeau was recruited in Canadian Army. When World War II broke out, Trudeau was supposed to be part of the war. However, Trudeau took better judgment, he realized that, once he took part in war, his vision of helping the population of Quebec would be tarnished. Trudeau didn’t want to turn his back on the people who needed him the most therefore, Trudeau decided to stay in his country only. 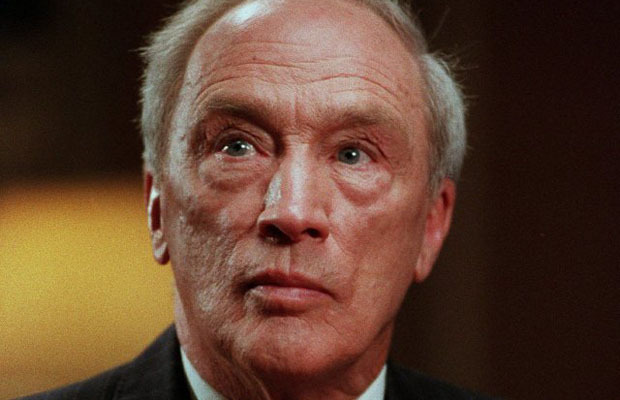 Pierre Trudeau didn’t enter the politics right after completing his education. On the contrary, Trudeau entered the field of teaching and became a law professor. He also donned the role of economic policy advisor. For Trudeau, the experience as economic policy advisor, aided him a lot during his political career. In 1965, Trudeau joined Liberal Party and later became Minister of Justice. He, as a minister of justice, eased up the laws on abortion and homosexuality and renewed the divorce laws. In 1968, Trudeau became the prime minister for the first time. Trudeau worked tirelessly on his post. During 1970s, in ‘October Crisis’, he had to prove his stance against terrorism. He passed the War Measures Act which gave the authority to the government to arrest the terrorist without trial. He also implemented bilingualism by making English and French as official language of Canada. The greatest work done by Trudeau during his time as a Prime Minister of Canada was to separate Canada from Queen Elizabeth II’s Britain. He gave Canadians the gift of freedom. New civil rights were reformed for the Canadians. Another important step taken by Trudeau was to keep the sovereignty of Quebec intact and Quebec remained to be part of Canada. Pierre Trudeau loved his country very much and he had a sense of obligation for his country. In one of his speeches he had said, ‘We wish nothing more, but we will expect nothing else. Masters in our own house we must be, but our house is the whole of Canada.’ He served Canada for 16 years as a prime minister and then retired from politics in 1984. That patriotic man bid adieu to the world on September 28, 2000.